BMT WBM, a subsidiary of BMT Group Ltd, has announced its latest development of the PULSETerraMetrixRS (PTMRS) system for managing the machine health, production and payload measurement on large rope shovels. Productivity improvements of 8 – 15% have been proven after deployment of the PTMRS system. The PTMRS system provides a real time dipper payload estimate during the swing cycle before dumping. 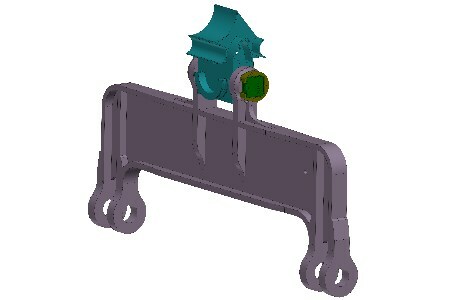 Immediate and accurate dipper-by-dipper load indication to the shovel operator is required in order for the final dipper load to be trimmed to match the target load for the truck. Automatic dipper carry back measurement and compensation supports real-time differential payload calculation – an important feature for operations where the material can often stick to the dipper, for instance in Canadian oilsands operations. Configured to communicate with any third-party truck dispatch system, the PTMRS can be applied to both Joy Global’s P&H and Caterpillar rope shovels. The system is fully supported by comprehensive data base analytics and automatically generated SQL server email reporting. Recent advances include the definition of a robust diggability algorithm and efficiency reports mapping digging conditions on the mine plan. This provides feedback on the effectiveness of blast patterns in differing conditions within the mine, so that patterns can be optimised and blasting adjusted to suit those conditions, resulting in further cost savings. The second generation PTMRS system deploys high accuracy shear pin loadcell technology in the equaliser of the P&H machines (for configurations with and without a bail) or in the reeving blocks of the Caterpillar machines. This increased load resolution and ease of installation represents a significant advance in the already demonstrated PTMRS approach of direct load and inertial measurement.